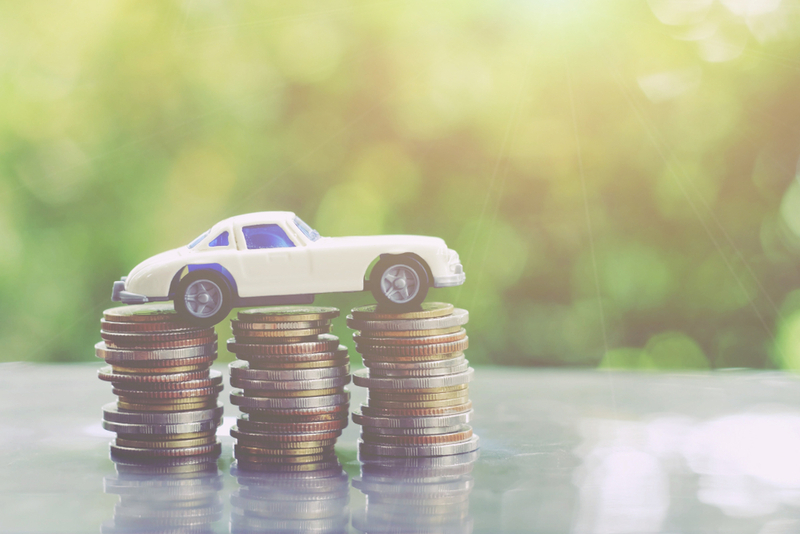 We love number crunching here at HPI, and we especially love to see how different cars compare when it comes to running costs and depreciation. As we’ve written before, many buyers assume that rival cars cost much the same to run and that they lose value at much the same rate, but nothing could be further from the truth. Working with and presenting data is what we do, and our latest tool allows you to compare depreciation levels of just about any car currently on sale as well as those on sale three years ago. As you can see on our tables and graphs below, not only have we predicted how much value will be lost by each of the mainstream cars currently on sale, when they reach their third birthday in 2022, but we’ve also logged what every car registered in January 2016 will be worth in 2022 when they reach their sixth birthday. The latter takes into account actual depreciation over the past three years and predicted depreciation over the next three years. As you’d expect, it makes fascinating reading. The tool allows you to search by make, model and derivative, or by market segment. With almost 7000 cars in there we’ve covered everything from the very affordable to the very aspirational. For this article we’ll focus on the former and we’ll kick off with the smallest vehicles of all: city cars. At the top of the pile is the Abarth 595 Turismo, a new example is expected to retain an impressive 48.6% of its value over the next three years; and a 2016 example is expect to retain 28.8% of its value by the time it’s six years old. To put the Abarth’s performance into context, at the other end of the spectrum is the Peugeot 108 1.0 Allure which should retain just 31.4% of its value when 3 years old. While this might seem like a rather poor performance, it’s closer to the norm than the Abarth because most mainstream cars lose value quite quickly. The Abarth performs so well largely because it’s a hot hatch made in small numbers, so it’s something of a collector’s piece. However, the Kia Picanto is very much a mainstream car and in 1.0 Wave form it’s not far behind the Abarth; we reckon it’ll be worth 47.1% of its new list price when it’s three years old. Intriguingly, the top 20 city cars list is dominated by Abarths (595 and 695), Kia (Picanto) and the Ford Ka+. While the latter two sell in big numbers, they both have a keen following which keeps values high. You don’t have to drop very far down the table to see retained values drop quite sharply. Go down a few dozen entries and the retained values are around 40% for cars such as the Skoda Citigo, Toyota Aygo and some versions of the Fiat 500. What’s interesting is that at 38.5% is the Ford Ka+ diesel, whereas its petrol-engined counterparts retain more like 45% of their value after three years. While this may be down to less demand for diesel, much of the higher level of depreciation will be down to the car’s higher list price when new. A posh badge and a bit of luxury will work wonders for a car’s retained value. An all-new Audi A1 has recently been launched, and according to our calculations this model dominates the top end of the supermini segment over the next three years, when it comes to retained value. Only petrol-engined cars are available and whichever one you buy it’ll retain around half of its value over the next three years (and as much as 53.6% in the case of the A1 25 TFSI SE), which is especially impressive when you consider that at the bottom of the table the retained value is more like 25-30%. Perennial demand also leads to limited depreciation, which is why the Ford Fiesta also retains around half of its value at 3 years old – at least in 1.5 Ecoboost form. Ford may not be a premium brand, but its cars are often some of the most talented in their respective segments, and that’s definitely the case where the Fiesta is concerned. Not far behind is the Mini, which holds on to as much as 47.6% of its value (for the Cooper S Sport II) – although this drops to 40.1% for the Mini One Classic in automatic form. Once again this shows how a bit more power and luxury can have a very positive effect on depreciation rates; entry-level cars often lose a greater proportion of their value than their more upmarket equivalents. Known as the lower medium segment in the trade, the small family car sector is the most popular across the whole of Europe. If minimal depreciation is key to you as a buyer, it’s the Toyota Prius that you need to put on your shopping list as this is worth up to 60% of its new list price after three years. The Prius is a car with an emphasis on low running costs, so it’s interesting that the car that gives it the toughest time in our tables is the new Mercedes-AMG A35 – a car with a focus on performance and luxury. Buy an A35 and the retained value will be as much as 58.7%. However, if you buy one of the more mainstream editions this figure can be cut to as little as 46.7%. While 46.7% may be less desirable than 58.7%, in the grand scheme of things it’s still impressive – not least of all because the cars at the bottom of the table are sitting at 25% or so. Or to put it another way, whereas the Mercedes A-Class is expected to retain around half of its value over the next three years, some variations on the Fiat Tipo, Skoda Rapid, Seat Toledo and Peugeot 308 model ranges will lose more like three-quarters of their worth. Unlike the Mercedes which is the new kid on the block, these models have been around a lot longer and are from less premium brands, which is why it can be no surprise that over the next three years they can be expected to lose more of their value than the latest prestige-badged contenders in the market. The Tipo, Rapid, Toledo and 308 model families typically range from around 30% down to 25%, with the worst performing variations being diesel cars with the most basic trim levels. So depreciation can be heavily influenced by brand perception, the time since model introduction, suitability of the fuel type for the size of the car, and equipment levels.